The economic crisis in Ukraine and lack of efficient steps taken by the current government that would aim at minimization of its negative social outcomes resulted in increased urgency of the problem that most of Ukrainian citizens are extremely poor. OPPOSITION PLATFORM — FOR LIFE MP Serhiy Lovochkin wrote in his inquiry to Ukraine’s Prime Minister Volodymyr Hroisman. 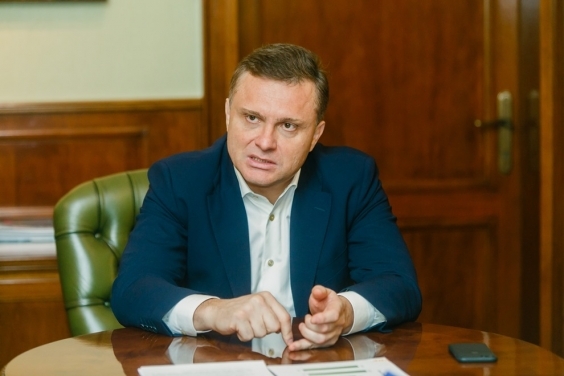 Lovochkin demands that the government takes urgent measures aimed at systemic and comprehensive solution of the problem of citizens’ poverty. These measures should include stimuli for creation of new jobs, increasing of the cost of living amount, child benefits, and other governmental social payments to reasonable level, as well as stopping unregulated price and utility fees rise. Lovochkin cited IMF data as saying that Ukraine has been named the poorest country in Europe in terms of GDP per capita. The MP says this conclusion has been confirmed by relevant national governmental agencies that reported significant deterioration of absolute poverty figures over the past five years. “Current cost of living, as set by the state budget bill, reaches mere 53 percent of the real cost of living, as calculated through official consumer basket of minimum required goods and services, the price of which is being inflation-adjusted monthly. Effective Jan. 1, 2019, the general amount of cost of living is set in the 2019 budget at 1,853 hryvnia per person. While the real cost of living in January 2019 prices was 3,443 hryvnia, as reported by the Ministry of Social Policy of Ukraine,” the inquiry reads. The MP believes this difference is caused by incomplete inflation-related indexation of the cost of living set by the law. Between 2014–2018, the cost of living amount as set in the state budget had only increased by 58 percent, while the prices soared by 2.5 times over the same period. This resulted in increased share of people whose income and expenses are below the real cost of living, which share is one of the key figures in poverty data. Lovochkin added that the matter of poverty is extremely acute for the most socially vulnerable groups of citizens, mainly multi-child families and retired persons. “All of the abovementioned negative trends are a convincing testimony of inefficiency in the government’s activities aimed at fighting the people’s poverty. This is why it’s deeply disturbing to see the formal nature of measures as provided by the government-approved plan on implementation of the Strategy to Fight Poverty this year,” Lovochkin summed up.